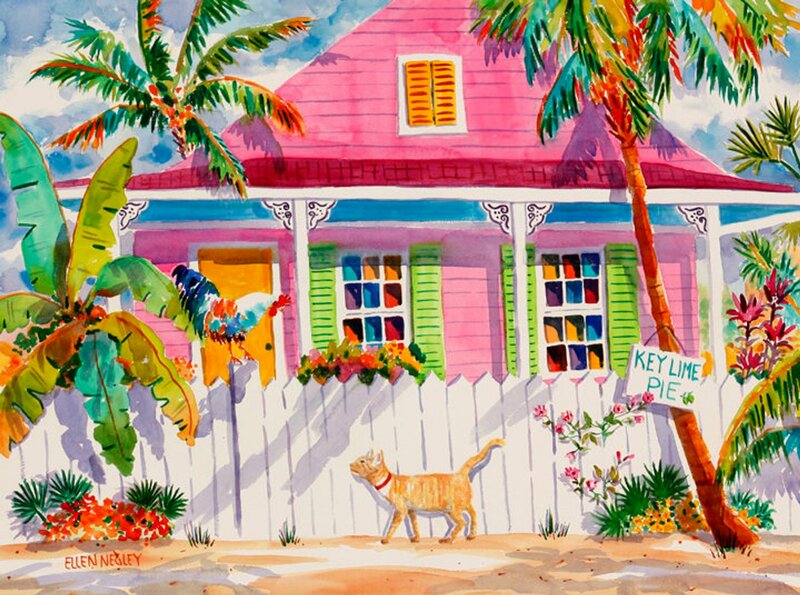 "Key West Characters" is all about the best things of Key West... chickens and roosters running loose, Hemmingway cats, the wonderful colors of the conch houses and Key Lime Pie...Yum! It's different in the Keys! It's unlike anywhere else in the world. Time just seems to slow down. I could paint Key West for the rest of my life and never get tired of it. So Colorful!